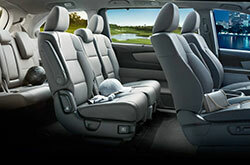 Haul your brood around town in style and comfort in the new Odyssey. A favorite amongst 2017 Honda Odyssey reviews, the well-equipped van is hard to beat. 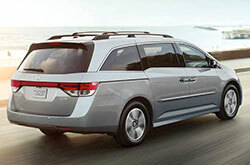 Not only does the three-row minivan offer ample space for passengers to stretch out, it also provides plenty of room to store all your luggage. 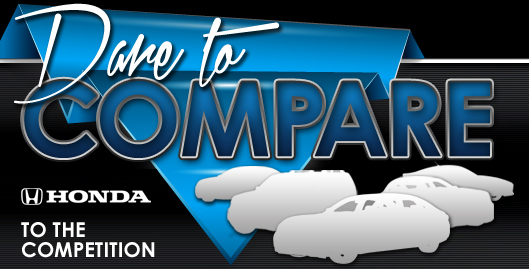 Keep reading to learn why this should be your next new vehicle in Arlington. Available in LX, EX, SE, EX-L, Touring and Touring ELITE, the 2017 Honda Odyssey in Arlington gives buyers plenty of options. First in the lengthy lineup is the LX, which gets 17-inch steel wheels, power front seats, an 8-inch infotainment display, Bluetooth, power-adjustable front seats and a seven-speaker audio system. 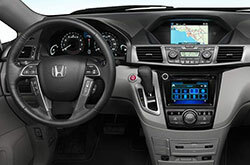 The EX adds alloys, tri-zone automatic climate control and an additional 7-inch touchscreen with HondaLink smartphone app integration. The range-topping Touring Elite gets all of the above plus leather upholstery, navigation, xenon headlights and a premium 12-speaker audio unit. You'll be hard pressed to find a single 2017 Honda Odyssey review that doesn't praise the vehicle's best-in-class engine. The 3.5-liter V6 is smooth and offers plenty of get up. It can produce up to 248 horsepower and 250 pound-feet of torque. Mated to a six-speed automatic transmission, the powerplant exemplifies engineering excellence. Blind-spot monitoring, lane departure warning and emergency brake assist can all be had on the 2017 Honda Odyssey in Arlington. There's also a rearview camera and front and rear parking sensors that make backing up easy, so you can parallel park with less anxiety. 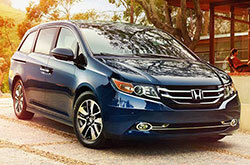 To learn even more about the new Odyssey, please stop by our Honda dealership in the Dallas metroplex! Have the 2017 Toyota Sienna, Nissan Quest, Kia Sedona and the Chrysler Pacifica grasped your attention? Then you should also contemplate buying a 2017 Honda Odyssey in the Dallas area. You could find that it thoroughly meets the requirements of your lifestyle needs, with its user-friendly on-board technologies and other exemplary aspects. Look over facts listed in our review to see if the 2017 Honda Odyssey fits your commuting needs, then check out Honda great lease offers online! 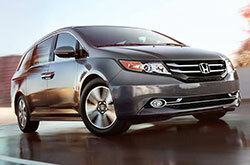 Among our wide group of cars, the Honda Odyssey is a popular option at Vandergriff Honda. 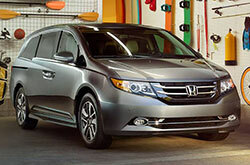 It's critical to make a discerning choice when searching for a car, and we hope our 2017 Honda Odyssey review is useful when it comes to this. We have several Honda Odyssey models for sale in Arlington, TX; stop by to be thankful for a test drive - sending a request for an appointment in advance is easy. Before you visit, you can take a peek at its spectacular equipment by viewing the included video.